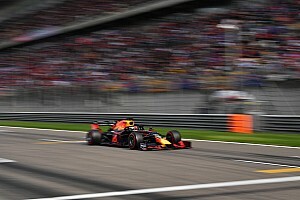 [Updated] "It's very beautiful and the food is very good, but we are spending a lot of money and honestly we didn't feel the need to come here," said Red Bull boss Christian Horner when asked about the usefulness of testing at Mugello in Tuscany. Lotus boss Eric Boullier described the test as "money spent needlessly" while one of Mercedes' senior engineers told Gazzetta dello Sport, "I wonder about the sense of having just one test session during the season. Either we do more tests or we forget it." Mark Webber meanwhile said, "It would be amazing to hold a Grand Prix here, but it's too fast for a test; in the calendar there isn't another track like it." Some of the teams are complaining, but the drivers on the whole have been having a ball on the 5.25km Mugello track, which is in one of the most beautiful parts of Italy, near Florence. The circuit has many high speed corners and is a thrill to drive in a modern F1 car, according to most of them. "Spectacular", "Incredibly fast" and "Stunning" are just some of the reactions from the F1 drivers at the test. Mugello has an average lap speed of 138mph. 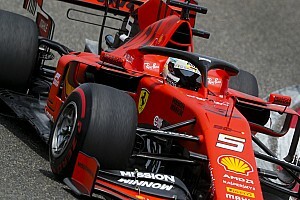 But they will also admit that there has been a limit to the value that the engineers have been able to derive from testing new parts on their cars on this atypical circuit. The logical thing to do would have been to test at Barcelona this week and then leave the trucks and equipment down there for next week's Grand Prix, which is what the teams used to do in the early 2000s. This made for rather dull Spanish Grands Prix as everyone had such a good set up for the race and the order was entirely predictable. But at least Barcelona is representative of what the teams will face for most of the season in terms of the variety of corners. 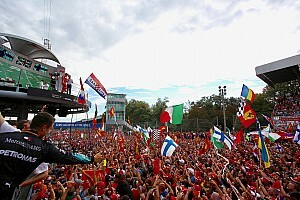 Mugello only prepares them for Spa and to half of Silverstone. Also with the young drivers' test set for Silverstone in July this test isn't the only opportunity the teams have to test updates on their cars during the season. So it's importance and relevance is diminished compared to what they expected. Today Fernando Alonso got his hands on an updated Ferrari with a new rear wing, rear bodywork and new exhausts, but then crashed it. 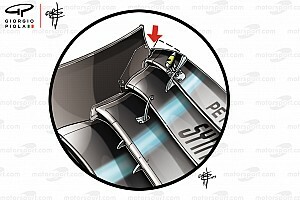 He went off, damaging the nose section of the car, which came to rest with its left side in the barriers. "At least two hours to repair the damages. It is a shame but that's testing! ", said the official Ferrari twitter. Vitaly Petrov had said on Wednesday that he felt the track wasn't suited to F1 cars, "I don't think we should have come here," he said. "It is not safe and wide enough. If you lose it, the walls are so close and you will smash into the tyres. It is not for Formula 1 and, if you lost the steering or the tyre pressure dropped or whatever, then it will be a big crash." Ferrari's full update kit, featuring a new front wing and new diffuser, has not been seen in Mugello this week. It will only break cover next week in Spain, the team saying that it wanted more time in the wind tunnel. Felipe Massa appeared to criticise this decision in the Italian media yesterday, saying "It would have been better to test everything here. but we are not ready. To close the gap to the top we need to grow faster than them. But I think that in the next few weeks we will find two or three tenths." 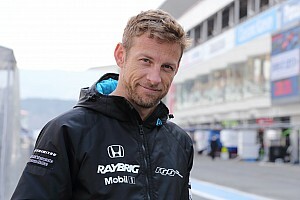 "We have done some evaluation on it in the factory, but at the moment it's not really working for us in terms of cost versus performance," Morris told Autosport.com. "It doesn't really stack up for us at the moment. And beyond the cost versus performance issue, it's difficult to know exactly the potential benefits and then it's only really useful in qualifying as well. "It's definitely a few tenths of a second in qualifying, but to get that [benefit] so many parts in the car would have to be changed. That's the problem." The three day test ended with Lotus' Romain Grosjean setting the fastest time on a day when, according to Pirelli, the 11 teams covered 1134 laps of the Tuscan circuit, equivalent of 43 Grand Prix distances. The teams chomped their way through 207 sets of tyres, despite limited running on Day 1 due to rain.